Cultural ReProducers: Save the Dates: Motherhood + Art Panels Galore! Save the Dates: Motherhood + Art Panels Galore! The intersection of motherhood and art seems to be on a lot of people's minds these days, and it's the subject of a whole slew of amazing (and all FREE) public panels exploring career, art practice, feminism, and motherhood taking place this February in Chicago. Christa Donner will discuss Cultural ReProducers on two separate panels, along with a lot of incredibly inspiring artists, curators, historians and critics. We hope to see some of you at these events, and look forward to future conversations online and in person. This Valentine's Day, grab your sweeheart and take the day to take in three panels on three topics hosted by the feminist book club TRACERS at ThreeWalls (As an added bonus, you can check out the amazing Faith Wilding retrospective while you're there). for information on the full day of events, visit the headline link above! This year, The Feminist Art Project presents an entire DAY of panels at the annual College Art Association (CAA) Conference, exploring the representation of the maternal in art and visual culture. Topics of discussion include art historical readings of maternity, the maternal body, exhibitions that address maternity/motherhood, collaboration with children, and what it means to be a mother and an artist today in relationship to the issue of M/E/A/N/I/N/G on artists/mothers! 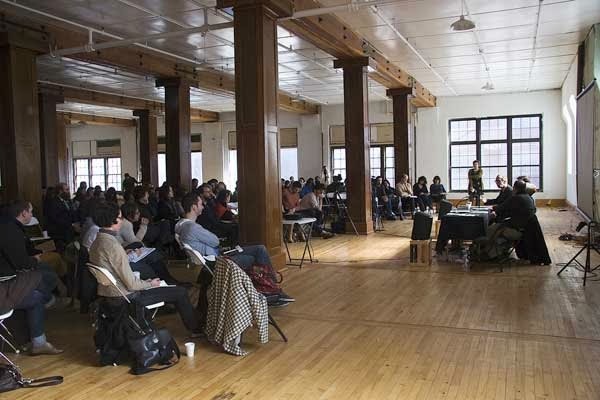 Cultural ReProducers will participate in the panel on Exhibitionary / Curatorial practice. Below is a brief rundown of the day's events. For panelists and more detailed information, check out the TCAF Day of Panels site. Note: The following panels are free and open to the public. You do NOT have to be a member of the CAA or registered for the conference to attend. Building upon burgeoning scholarship such as Rachel Epp Buller's anthology Reconciling Art and Motherhood, Myrel Chernick's and Jennie Klein's The M Word: Real Mothers in Contemporary Art, and the work of the MaMSIE (Mapping Maternal Subjectivities, Identities and Ethics) network, this panel presents historical perspectives on maternal subject positions and the depiction of maternal imagery. This session will address exhibitions that have been premised upon the idea of motherhood and the maternal, within the broader context of feminism and the history and theory of exhibition making. In addition to considering the curatorial role itself through a "curator as maternalist" paradigm, presentations will reflect various curatorial methodologies from traditional museum scale exhibitions to hybrid or itinerant curatorial projects that engage various forms of social space, including the home. By bringing together various critical feminist positions alongside divergent curatorial strategies the goal of this session is to chart an evolution of practice via exemplary models for thinking and doing. This panel revisits the "threat" of the maternal body, both in practice and theory. Amongst other topics, papers will address the historical rejection of sentimentality by feminist artist mothers, the sexuality of the mother-child relationship, non-reproductive and non-heteronormative maternal bodies, and the changing perspectives on essentialism and the female/maternal body today. 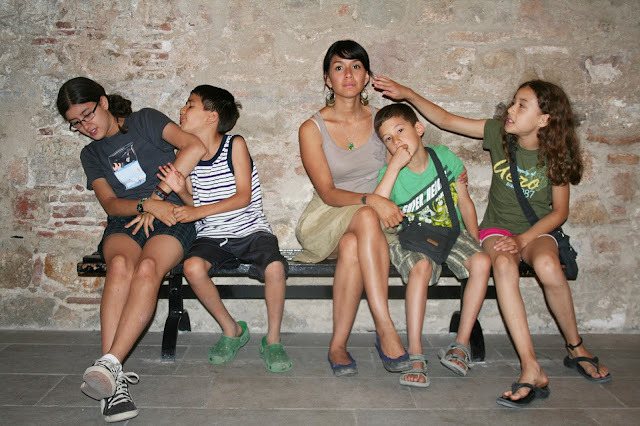 What are the implications when an artist brings her children into her work? Where is the line between collaboration and exploitation? When can children give consent, or even be considered artists in their own right? This panel addresses twentieth-century and contemporary incarnations of the often-controversial mother / artist / child triangle. In 1992, Susan Bee and Mira Schor, editors of the art journal M/E/A/N/I/N/G, published FORUM: ON MOTHERHOOD, ART, AND APPLE PIE. They invited a group of artist/mothers to respond to a series of questions about their artistic careers and lives as mothers. Although none of the women regretted becoming mothers, most of them talked about their difficult choices, and how they maintained a strict separation between family and studio practice. Twenty years later, we believe we are seeing many more women who are interested in integrating their familial and artistic lives. After a short statement from Susan Bee, five artists respond to the M/E/A/N/I/N/G issue in relationship to their lives and work now.